Rail is highly significant in overcoming the challenges of vast distance in Queensland. 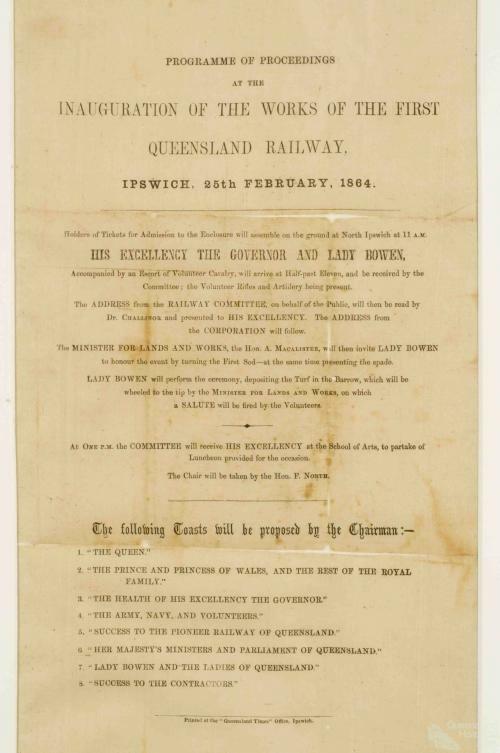 The inauguration marked the first stage of construction for Queensland's initial railway from Ipswich to Bigge's Camp (Grandchester). The programme of proceedings was printed on silk, reflecting the significance of the occasion.